Le Moulin de Serre is a very spacious and well maintained campsite set in a beautiful wooded valley beside the Burande river, close to the upper Dordogne valley, between the very big lake of Bort les Orgues and the Auvergne volcanoes park. The pitches are spacious, grassy, raised and separated by planted hedges. Main equipment ; large heated swimming-pool, playground and clubhouse for the children, tennis court, canöe, bungalows and mobil-homes for rent, snack, bar. Friendly atmosphere. See you soon ! 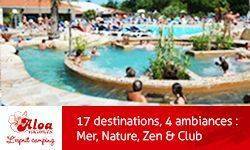 Le Méditerranée is a Village Club *****, located within idyllic surroundings, near the sea (2 km) and the mountain. Mobil homes, "gîte" (little house) and natural cottage with terrace and garden are proposed to you in an environment-friendly site. As for accommodation, rental houses in drive, mobile homes and chalets "Prestige" with terrace and garden furniture. 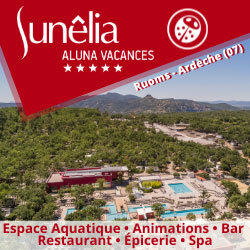 The benefits of the Mediterranee Argelès: * The plots are approximately 200 m² * wifi * Eden Spa * Water park: indoor heated pool, outdoor pool with views of the Pyrenees, slide ... * Animations entire season * Mini club (6-12 years) for the spring holidays and July / August. We are ideally located in a quaint valley at the entrance of the PARC DES VOLCANCS D'AUVERGNE,12 KM from Sancy. A calm and friendly atmosphère awaits you at CAMPING L'OMBRAGE. The campsite is easilly accessible to motor home an caravans,shady and situated at 780 m altitude. On site : bred, baguettes, viennoiseries etc every morning upon order, bar, basic needs shop, ice cream, POOL, board games, library, swing set and toys for children, petanque, archery...We also offer wood chalets(cabins) in total confort, 35 m² with covered terrasse. You can find everything that you could need 5 km awway at Besse, one of the most beautiful towns in PUY DE DOME AND AUVERGNE. Plenty of small and normal sized trails will allow you to explore our beautiful region. Welcome to camping LA COMBE, our 3 star campsite in the Gard, located in Barjac (Renaissance city), for a holiday in Occitania. Our family campsite between Ardèche and the Cévennes is very close to the Pont du Gard(30). It is equipped with an outdoor swimming pool, and we offer a choice of rental mobile homes, chalets or traditional pitches. To come to us, in the Gard, a small country road will lead you to be rocked by birds and cicadas, without counting the warm welcome. Do not miss to visit La Grotte Chauvet only 15 minutes from the campsite. 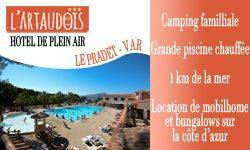 Our campsite is a three star family campsite located between Hyères and Toulon, in Le Pradet, in Provence-Alpes-Cote d'Azur, in Var. 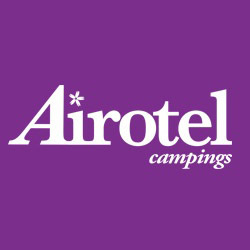 We offer rentals of mobile homes or bungalows and pitches for your tent, camper or caravan. The campsite has a large heated swimming pool, paddling pool, and snack-bar as well as a sports ground. Various activities are offered on site: evenings, sports (archery, volleyball ...), children's club, hiking. 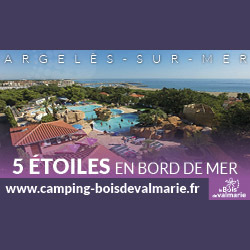 50 m from the sea, the 4-Star International campsite located on the Presqu'ile of Giens near the town of Hyères in the Var on the French Riviera, offers you locations and rentals with or without a private Jacuzzi. Family and sports atmosphere with swimming pool, gym, diving school, windsurfing and relaxing at the Aphrodite SPA. A restaurant, a snack bar and a grocery store are available from April to early November. Animation only in July and August. A 4-star campsite in the Alpes de Hautes Provence, camping LE HAUT VERDON is ideally located in the small mountain village of Villars-Colmars, on the banks of the river Le Verdon. At the gates of the Mercantour National Park and very close to the Val d' Allos, we are nestled under the pines, and at an altitude of 1200m. And it is with pleasure that we await you under the Provençal sun with the pleasure of its cool nights. The campsite has a heated outdoor swimming pool with paddling pool. You can also do whitewater sports activities! Canyoning or river fishing. For your holiday and camping holidays in the Alpes de Haute Provence, we offer chalet or mobile home rentals, or choose traditional pitches, we also welcome motorhomes. WARNING: Due to our geographical location, access to the campsite via Col d' Allos is not recommended for caravans. Our 5-star family Campsite with water park, with water slides, is in Volonne, in Provence, nearby the natural parks of Verdon, Luberon and Mercantour. Well known for the animation, the cooperation with Music-hall. The waterpark with 2 heated swimming pools, waterslides, jacuzzi and paddling pool. With camping pitches and hire of high quality accommodations, Sunêlia l-Hippocampe welcomes you in a calm and privileged environment. With an extensive range of prices, the campsite offers something for each budget. Notice the unique offers in low season. The campsite organizes activities during the weekends in May and June. Ideal for nature lovers. ACTUALLY EARLY BOOKING OFFER! New 2019: Creation of a mini-golf, expansion of the playground and installation of charging stations for electric vehicles. In lush greenery, just 9km from the beautiful beaches of Argelès-sur-Mer, and 800m from the village of Laroque-des-Albères, our team welcomes you in a family atmosphere. At the foot of the Massif des Alberes, beautiful hiking and biking await you. Enjoy our aquatic area with outdoor pool and another indoor heated and covered with slide, river against the current ... as well as entertainment for children (children's club) and adults in day and evening in April, during the holiday weekends, July and August. On the site: restaurant, bar, snack, bar, grocery (opens all season), WiFi and bicycle rental. conditioned accommodation in mobile homes or woods chalets well-equipped with semi-covered wooden terrace or integrated and unusual accommodation in direct contact with nature. shady or sunny pitches for tents and caravans. Au cœur de la Presqu'île de Giens et à proximité des plages, le Clair de Lune est un petit camping 4 étoiles, calme et pour petites familles. 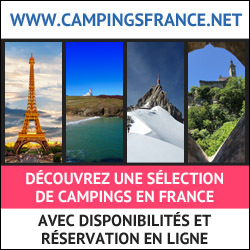 Ouvert du 10 février au 11 novembre, le Camping Clair de Lune est Camping Qualité et Écolabel Européen. 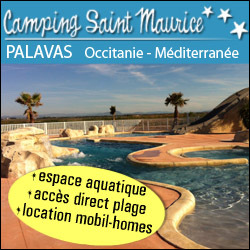 Pour des vacances reposantes ce petit camping avec jacuzzis privatifs est idéalement placé à Hyères pour vous faire découvrir la presqu'île de Giens, Porquerolles et les merveilles environnantes du Var. Welcome in Haute Corse, to our camping "Petra Pinzuta" we will be happy to welcome you to the spacious and shaded, 15 minutes from the beaches, the immediate vicinity of the "Golo" river in a warm and friendly atmosphere. Enjoy our free hikes and scheduled each week to discover the beauty of our landscapes. At the Palais de la Mer, the beach and nature reign supreme. Situated in the heart of a natural zone, with direct access to the beach, you may enjoy the pleasures of the sea and nature. Located in La Blanche Valley, in St Jean Montclar Ski resort, 10 min far from Lake of Serre-Ponçon and under the sun of Provence, we gather accommodations in cottage or chalet, from 2 to 6 people, and camping pitches. Included : access to swimming pools (indoor and outdoor), balneotherapy area, fitness room ; entertainment, mini-club. Restaurant and bar : half-board possible ; well-being space. Our campsite overlooks the castles of Lastours, an exceptional group of four castle ruins atop a rocky outcrop. We provide you peaceful and cosy accommodation keeping in mind the principles of eco-citizenship, so that everyone of us can participate in sustainable tourism by minimising the influence of the camping on the natural environment. Especially for you, hiking amateurs, we have a variety of different walks and hikes, from the very relaxed to the sporty and most demanding ones. Everyone will be able to find something catered to his or her taste. We respond to all of your requests concerning the area of the camping and its surroundings. Our friends, your pets, are welcome, as long as they are kept on a leash, collared, vaccinated and with a valid vaccination card (first category “attack dogs” are forbidden). We are delighted to welcome you in a family campsite of 90 pitches between sea and mountain where it is good to stop to spend a pleasant holiday in the shade of oaks and chestnut trees. The camp site is located at the entrance of the village of Vernet Les Bains. The city center is only 1200 m away. The supermarket is 50 m away. Vernet les bains is a small spa town nestled at the foot of Mount Canigó which enjoys a Mediterranean microclimate sheltered from the prevailing winds. In the heart of the Pyrenees Orientales, department of the Occitania region, Vernet Les Bains is the ideal place to put down your suitcases, recharge your batteries and discover a region rich in heritage and activities close to Spain, Andorra and Mediterranean Sea. Side comfort, the campsite Del Bosc offers its pretty heated swimming pool (7,50 x 12,50m) with its balnéo bench. Camping enthusiasts will find shaded pitches for their tent, caravan and camping car. We also rent mobile homes 1 to 3 bedrooms for 2 to 6 people. In the Cathar region, 5 kilometers from the Medieval Towm of Carcassonne and 2 kilometers from the Canal du Midi that are both included in the UNESCO world heritage list, you will find the Camping Das Pinhiers. The Cathar châteaux, the abbeys, caves, the vineyards and restaurants, the pine trees and cicadas make this region a paradise to be discovered. If you love holidays that give you total freedom. holidays that can be either restfull or active, you will love the Aude, the Cathar region. 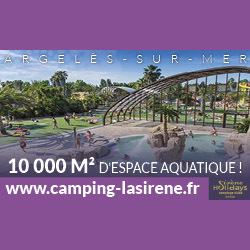 1 km from Vichy left bank of the Allier, Bellerive Park Camping Les Acacias 4 * awaits you in a setting of flowers and shade. 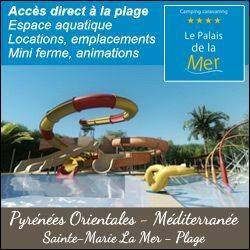 Mobilshomes 31, 75 places delineated on 3 ha, WiFi, 55 m waterslide, heated swimming pool and paddling pool 100m2, animations July-August: 5/week with animateur, free evening entertainment, loan canoes, superwide-games children, 700 m2 over balls, 3 bathrooms games: foosball, ping pong, TV, games shuffleboard, billiards, stade multi-sports : volleyball, foot, handball, tyrolienne, mini skate, space FITNESS, terrasse snack-apéro, snack bar, bread, ice cream, 200 m: restautants on the banks, 2 supermarkets 500m, pharmacie, garage. 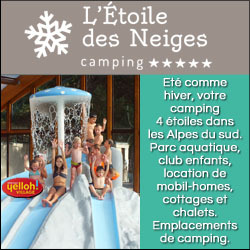 In the heart of the Regional Park of volcanoes of Auvergne at the foot of the Massif of Sancy in Auvergne, to 300 m. Of the town of Murol and to 500 m. Of the beach of Lake Chambon by forest roads, ideally located for the excursions, this family and friendly camp-site will delight you with its ideal location. We offer chalet rentals or comfortable mobile homes from April to the end of October. Swimming pool heated from May to September, paddling pool, snack-pizzeria, fruits and vegetables, deposits of bread and animations in July and August. Organization of stay for club of hiking, 4X4, Quad, motorcycle and equestrian. At the heart of the Aude, at the foot of the city of Carcassonne and the Canal du Midi the site is surrounded by vineyards and valleys for family holidays, sunny and relaxing stays. The original pool offers fresh, surrounded by olive and palm trees. The evening on the terrace of the snack you can détentre while watching the children's corner.